Want to lose weight? Cut down on your calories intake. This is the easiest way to lose weight effectively. But you must take care to have enough food needed by your body. 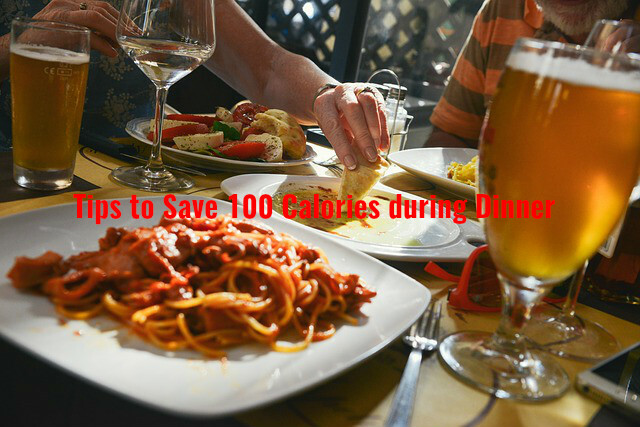 If you have 100 calories extra every day, you may gain as much as 10 pounds every year. So, always watch the amount of calories that you consume. In the beginning you may find it confusing, but by following the tiny swaps in your meal patterns, a large difference in the intake of calorie may be made. You can save about 400 calories per day with 1 swap at each meal. 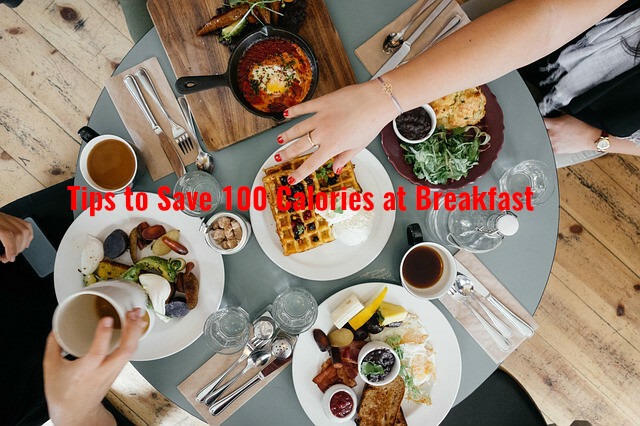 Follow the below mentioned simple ways to save some calories from your every single meal. Start your day with English muffin instead of plain bagel. This way you can save as much as 165 calories, as plain bagel has a calorific value of 285 calories and English muffin has a calorific value of 120 calories only. If you have the habit of taking coffee mate, say goodbye to it and try to add 2 tablespoons of skimmed milk. This allows you to save up to 135 calories. Do you take two sausage patties and eggs for breakfast? Try two ounces of smoked salmon instead. This way you can save about 104 calories. You can save as much as 166 calories by having a cup of oatmeal instead of granola. If you want your yogurt sweet, add one fourth cup of blueberries instead of mixing honey with it. This way your yogurt will be sweet and at the same time you can save 104 calories. Do you like o have taco salad? Then enjoy your burrito filling with lettuce instead of adding flour tortilla. Flour tortilla contains lots of calories, about 190 calories. But lettuce has only 10 calories. This way you can save as much as 180 calories. If you have cheese, choose 2 slices of Swiss cheese, which is low in fat, instead of going for cheddar cheese. Cheddar cheese has almost double the calorie found in Swiss cheese. You can save up to 126 calories by this way. If you love Italian dressing over your salad, then it is time to think whether you really need it. Italians dressing contains almost 128 calories. So try to replace it with one fourth teaspoon of basil and oregano. You can also add 4 tablespoons of lemon juice. The taste that you get will be the same. This way you will be able to save 112 calories. Another easy way to save calories is to use Dijon mustard on your sandwich instead of spreading mayo. This helps you to save 165 calories as mayo contains 180 calories. Similarly, oyster crackers contain as much as 147 calories while shredded cheddar cheese and scallions together supply you with only 40 calories. So replace oyster crackers with 2 tablespoons of scallions that are freshly chopped and 3 tablespoons of low fat shredded cheddar cheese. This way you can save as much as 107 calories. If you are planning to take one bar of snickers for snack, substitute it with two bars of Musketeers. This is because snickers bar contains high amount of calories, up to 250 calories. But one bar of musketeers contains only 65 calories. So, having 2 bars of musketeers can help you save 120 calories. Most of you love to have classic potato chips. But this contains lots of calories. Try one cup of air-popped popcorn instead. This will help you save 114 calories. French fries are tasty and all love to have it. But you can take it in very small amounts as it has high calorific value. Instead, you can take unsalted tortilla chips. This contains only 138 calories, while the calorie content of French fries is 267. You can also have 2 ounces of fresh pico de gallo with tortilla chips as it contains as low as 20 calories. Apples are also good as a snack. Instead of consuming cheese and Ritz crackers, you can have fifteen to twenty slices of apple. This way you can save calories. If you have a bottle of classic Budweiser, then replace it with a can of Budweiser Select 55. This way you can save as much as 127 calories, because classic bottle contains 182 calories and Budweiser Select 55 contains only 55 calories. Avoid margarita mix and sip classic mojito with jigger of tequila instead. 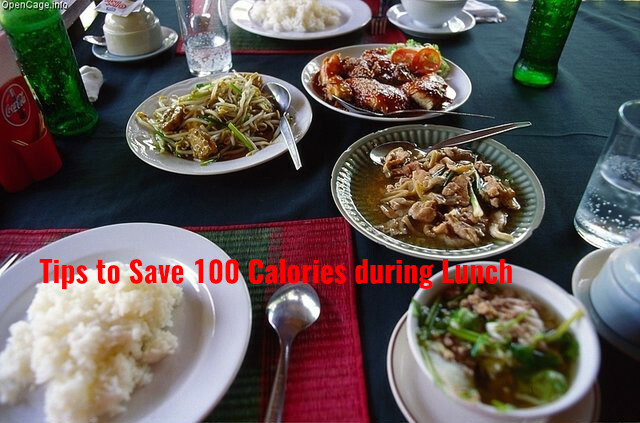 This will allow you to save 110 calories. Do you often have strawberry daiquiri? If yes, replace it with vodka soda with cranberry juice. This helps you to save 250 calories. A bottle of tonic water contains 114 calories. So swap it with club soda, which has no calories in it. So you save 114 calories this way. When you have sushi roll, it is usually served with one cup of white rice. Next time you have it, try to cover your roll in cucumber and have it. This way you can save as much as 250 calories. Choose to have one cup of soba noodles instead of having 1 cup of brown rice. This is because one cup of soba noodles contains only 115 calories, while one cup of brown rice has as much as 216 calories. So you save as much as 103 calories this way. Pizza is a favorite with most of the people. When you order pizza, go for a thin crusted pizza instead of selecting deep-dish pizza. This way you can save up to 106 calories. So, with little changes and replacements here and there, you can lower your calorie intake considerably. Try out the suggestions given above and see how it reduces the calories that you take in per day.